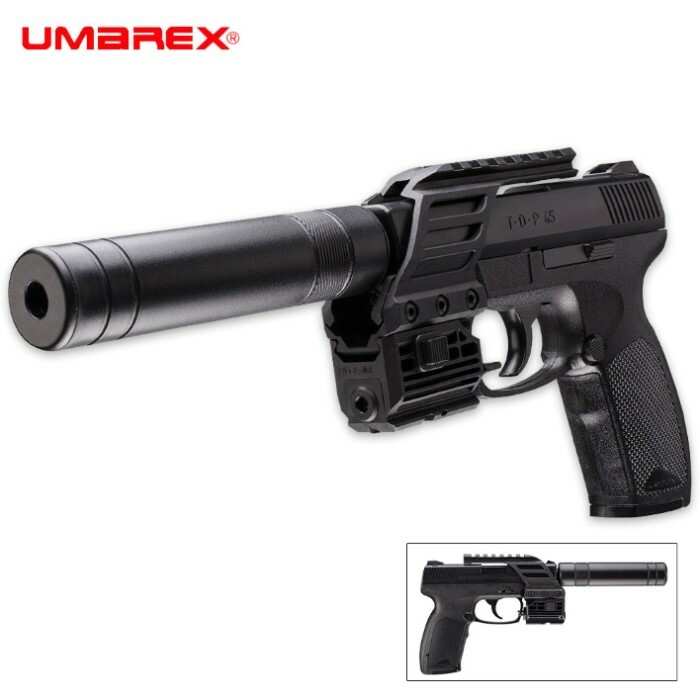 Umarex 45 TAC Double Action Air Pistol | BUDK.com - Knives & Swords At The Lowest Prices! Shoot the Umarex TDP 45 TAC just as fast as you can pull the trigger! 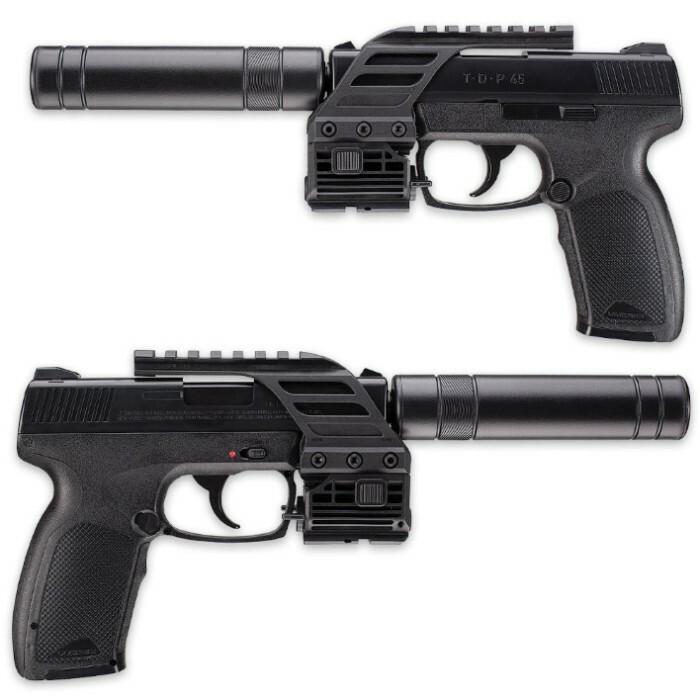 This double action air pistol is as fast as they come, powered by it CO2 capsule which is housed in the grip. It will shoot .177 caliber steel BBs at 410 fps from a 19-shot drop-free metal magazine. It has an integrated Picatinny rail and comes with a red laser sight. 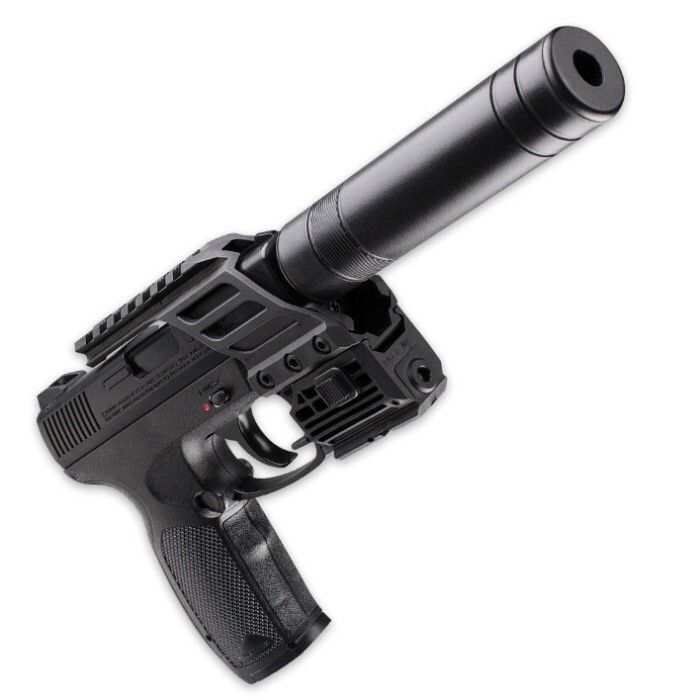 It also comes with a removable mock silencer. It is compact in size with a 4 1/4” barrel and coming in at 12” in overall length. I purchased this with a 'BOGO Sale + Free Shipping! PROMO CODE:' got the free shipping, not bogo, guess I misread.. Anyhow, it's around 28f here, pretty cold for shooting a CO2 gun, still it punctures soup cans at 30 feet easy enough. It looks pretty neat & is a great plinker. Went through 6 mag fills with the first CO2, a bit left still.. Not bad at all.. No regrets so far..